The final top eight players of the MLily Cup begun their games the morning of August 26th in Tongling at 12:30 on the dot. 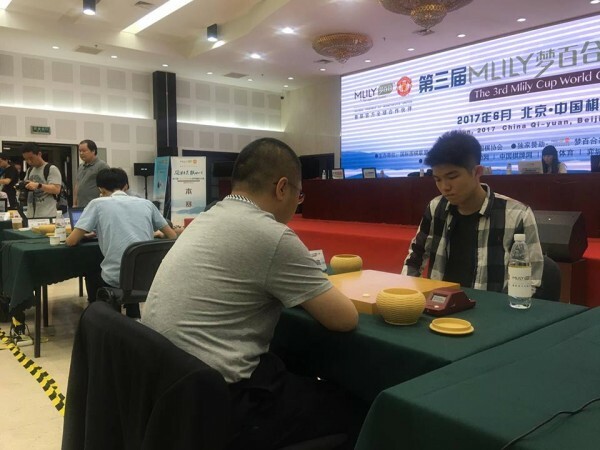 A clock issue that interrupted the game between Fan Yunruo 6P and Park Yonghun 9P in the first few minutes was quickly rectified by the competition officer and the game progressed smoothly. 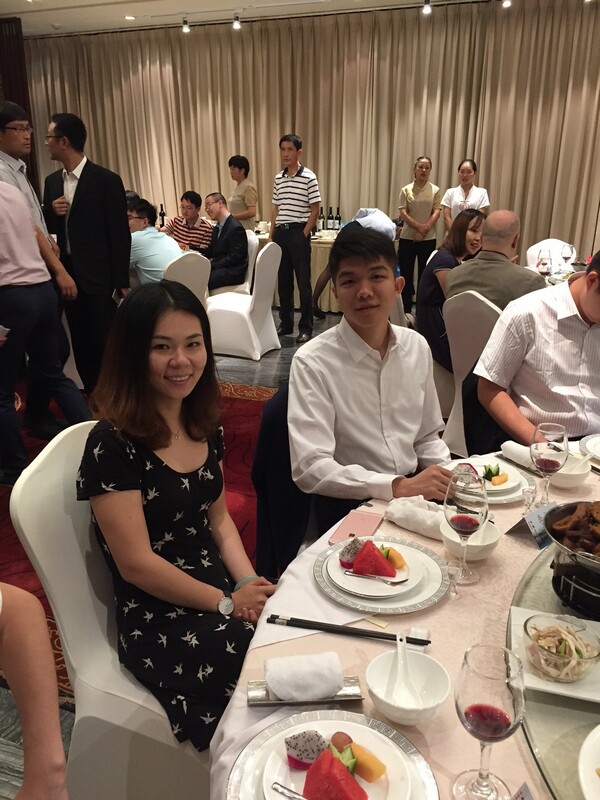 Li, currently pursuing a Ph.D. in earth sciences at Yale, became the fourth AGA-certified pro in 2015. 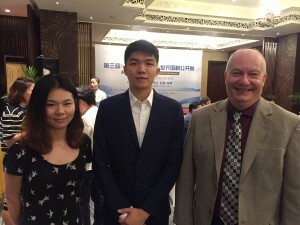 He has represented North America several times and scored wins over Asian pros before, including defeating Japan’s young talent, Mutsuura Yuta 2p, in the 2016 IEMG in China. 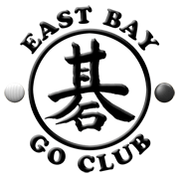 East Bay Go Club formed: The East Bay Go Club has just formed and meets Thursdays from 6:30PM to 9PM “at the beautiful new Games of Berkeley” at 2510 Durant Ave. (near Telegraph Ave), reports Chris Russell. More details on the club’s website. 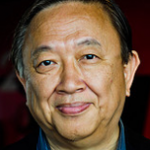 Australian Go Congress set: The Australian Go Congress is coming up September 28 – October 1 in Sydney. The third such event includes the 2017 Australian National Championships and has an iPhone/iPad-friendly site. Kiseido sale on go books: Kiseido is having a sale of all English-language go books ordered through their book page. 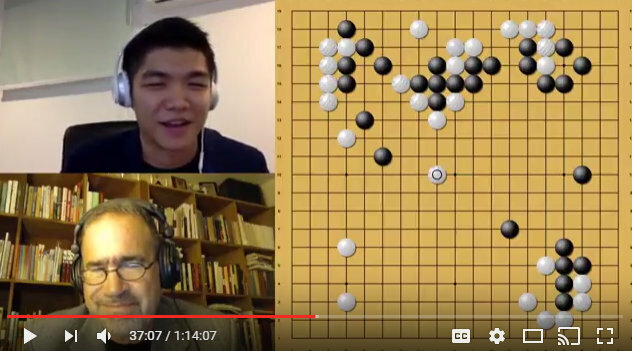 Recent and recommended books include The Basics of Life and Death, Handicap-Go and the Sanrensei Opening and An Encyclopedia of Go Principles. The sale runs through August 31. Free registration for the Pandanet Cup Internet World Amateur Go Championship ends July 17. This is the world’s longest-standing internet tournament, and players are grouped by their playing strengths and regions of residence in the preliminary round. Generous prizes are provided for final finishers in all playing bands. The first round will start July 24. While several different Lego chess sets have been created and marketed in recent years, David Fazekas thinks the Danish plastic brick company is missing a big opportunity. 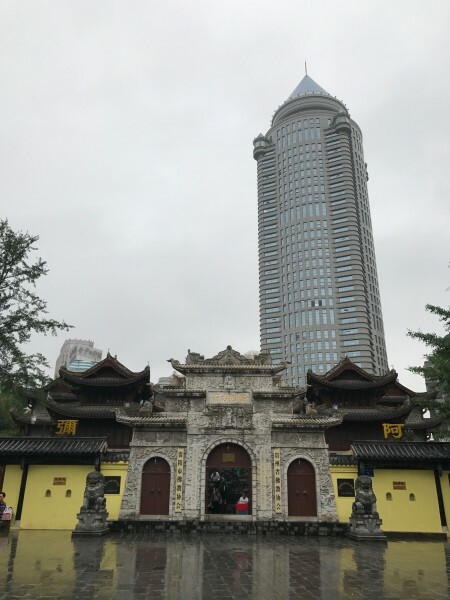 “After Deep Blue defeated Kasparov in 1997 Lego had made several official Lego chess sets,” says Fazekas, promotion executive for the PaGoda Go Association in Hungary. 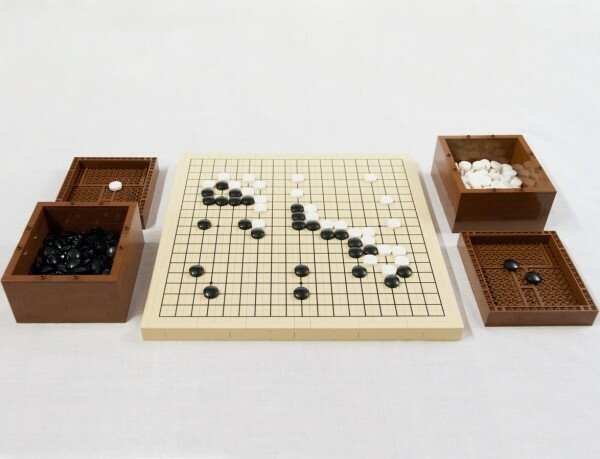 “Now that Deep Mind’s AlphaGo has defeated both Lee Sedol and Ke Jie it’s time for Lego to acknowledge go players with a Lego Go set!” Fazekas has developed a Lego go set prototype and submitted it on the Lego Ideas site, where he needs to gather 10,000 supporters to advance to the next step in the approval process. Thus far he has 754 supporters. 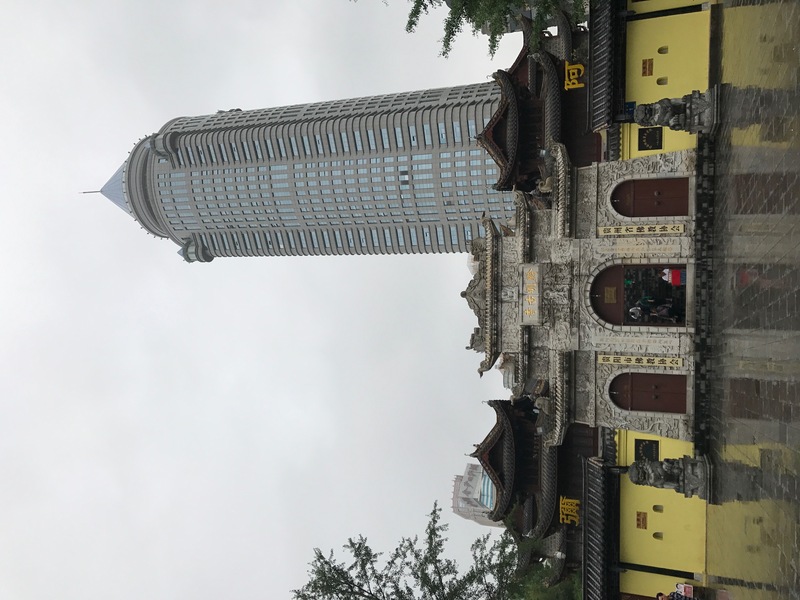 “A go Lego set would reach kids in every country,” says Fazekas, “please take a moment to click to show your support for this project.” The word “lego” is derived from the Danish words “leg godt”, meaning “play well”. 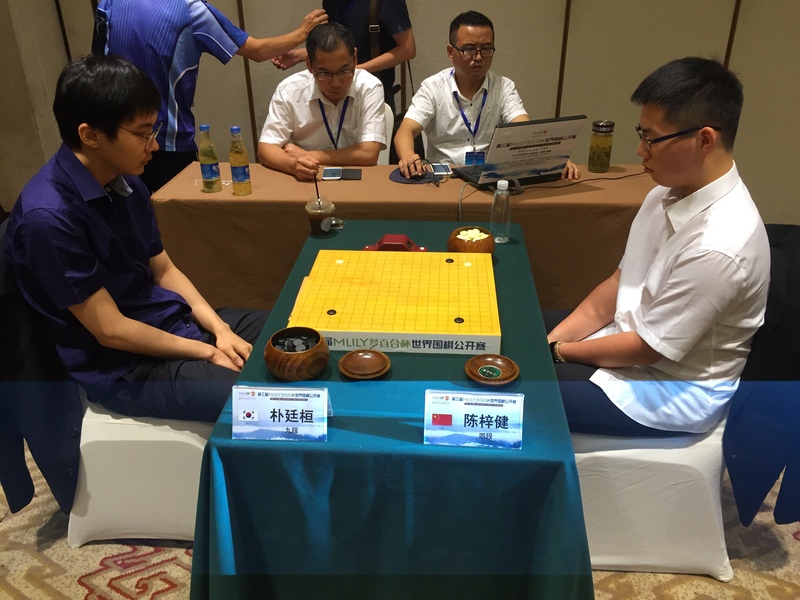 The morning’s round 5 was highlighted by an exciting game between China and DPR Korea, won by China with the smallest margin of 0.5 point. US rep Danny Ko lost to Cornel Burzo and fell to the 2-loss group. Japan’s Sakata Shusaku has been playing well since he lost in the second round. He met Hong Kong’s Chan Naisan and played a strong game from the start, giving his opponent no real chance of coming back. In the afternoon, the top game was China vs. Korea. Because of the large number of spectators, the playing area had to be screened off by a “chair wall”. The game lasted well after all other games had finished and remained close. But in the end, Korea made a yose mistake and had to resign. Japan defeated Romania and sent Burzo to two losses. Russia’s veteran Dmitry Surin defeated Czech Lukas Podpera to remain the only 1-loss Western player. Danny Ko played Thailand’s Vorawat Tanapatsopol and fell behind by quite a bit late in the game and had also entered his last period of 30-second byo-yomi. But Ko played a well-designed whole-board yose trap to overtake his opponent. When his opponent resigned, Danny Ko had played his last sixty or so moves within the last byo-yomi period. Entering the last two rounds tomorrow, the picture is clearer. 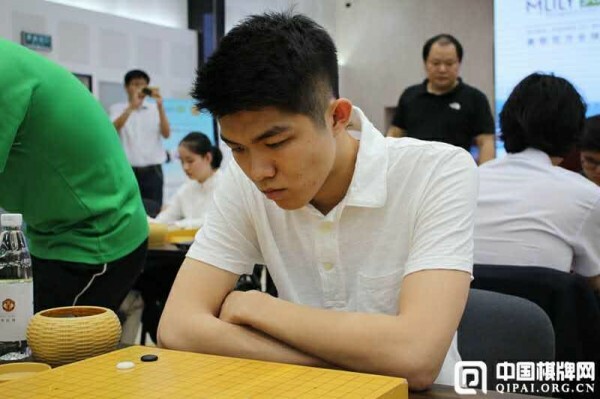 Having won all his games, China’s Bai Baoxiang has the championship in his control. There are five countries at one-loss: Japan, Korea, DPR Korea, Taiwan, and Russia. These six will play each other in round 7: China vs. Russia, Korean vs. Taiwan, and Japan vs. DPR Korea.